Kenyans using OLX to sell or buy used goods will be required to log in using mobile phones in tighter verification rules that will also see customer identities matched with data from national registry. Users are currently allowed to register through e-mails using their primary ID’s, but this will end over the next few weeks as the company shifts to a mobile centric platform that gives short messages services (SMS) feed back to acknowledge authentication. OLX is seeking access to personal ID card details from national population registry to help it crack down on fraudsters as it plans to move customers to a more efficient and safer internet exchange platform. Plans are largely bent to addressing buyer fraud the company regretted as ‘hard’ to control using its old platform. The online market place said it was still in conversation with government to allow it leverage on the Integrated Population Registration System (IPRS) to track down customers should they use its platform to commit crime. “Moving from introduction of online classifieds into the country to deepening the market place after people have tested it is one of the things we are seeing this migration. 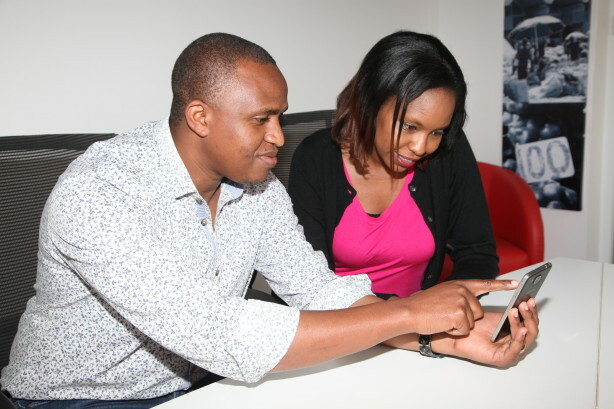 The new app is almost rolling our sleeves to further deepen online classifieds,” OLX Kenya Country Director, Peter Ndiang’ui told Smartinvestor. The move has been advised by rapid adoption of smartphones in the market and rise in use of online shopping sites in the country. Ndiang’ui said African market was becoming mobile centric with projected rise in consumers using mobile phones to make transaction and other machine to machine controls. The new app will be hosted locally making it lighter and cheaper for downloads than the old one, hosted in South Africa which consumed a lot of data because it was heavy. It will come pre-installed with a machine learning system to pick and record customer behavior that can be used to identify incidences of fraud. Real-time chats are being worked on to ensure traders can also seal their deals off-line using sms, making it more flexible. “But it will be a bit of pain to ask users to un-install then install a new app. We plan for awareness campaign during the transition period to build their confidence,” said Ndiang’ui. The company has successfully made transitions in Uganda and Tanzania, it said were pilot test because they were less risky markets. “Creation of awareness helped us a great deal and we seek to do the same in Kenya,” he said. A bigger percentage of Olx traffic comes from young and educated traders helping to drive business in electronics and mobile phones. Young farmers are also propping up will trade deals in agribusiness recording consistently high traffic for the company in recent months.